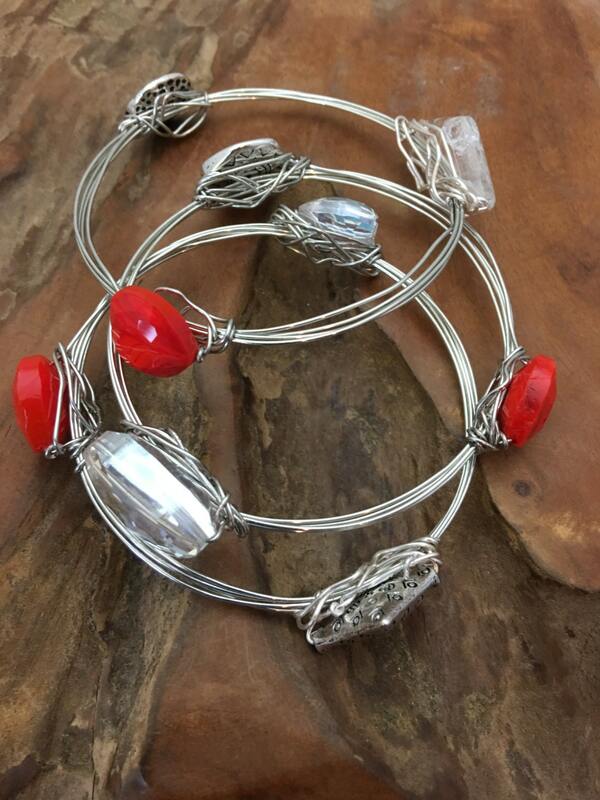 Yes, the price of these is three bangle bracelets for $85.00! 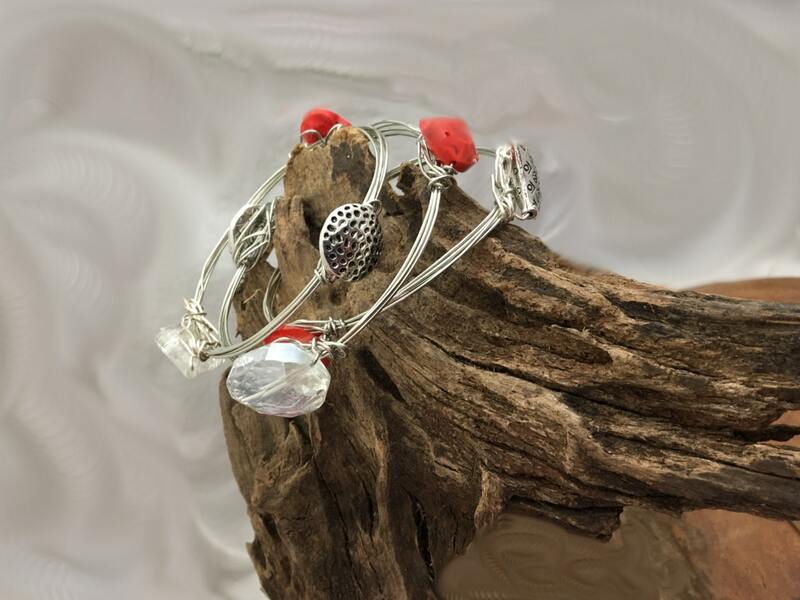 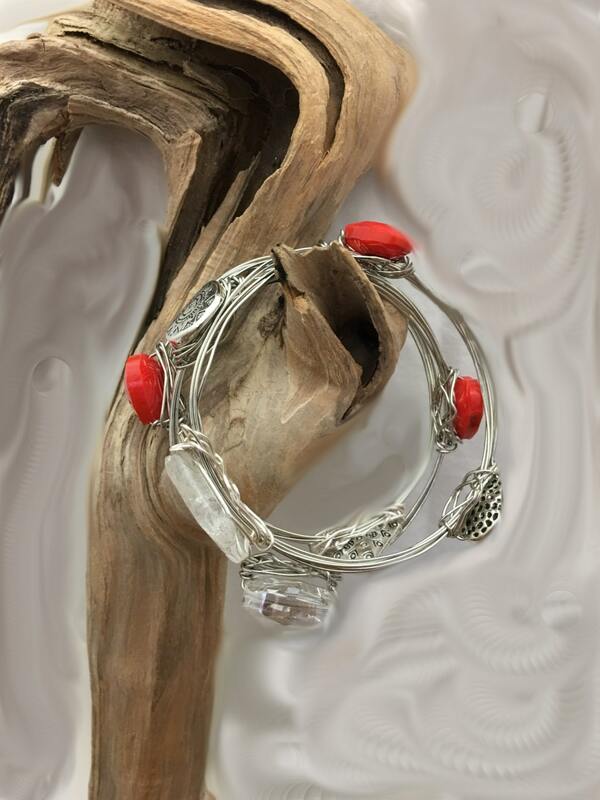 These lovely bracelets have stunning art glass red hearts, crystals, and silver plated pewter beads. 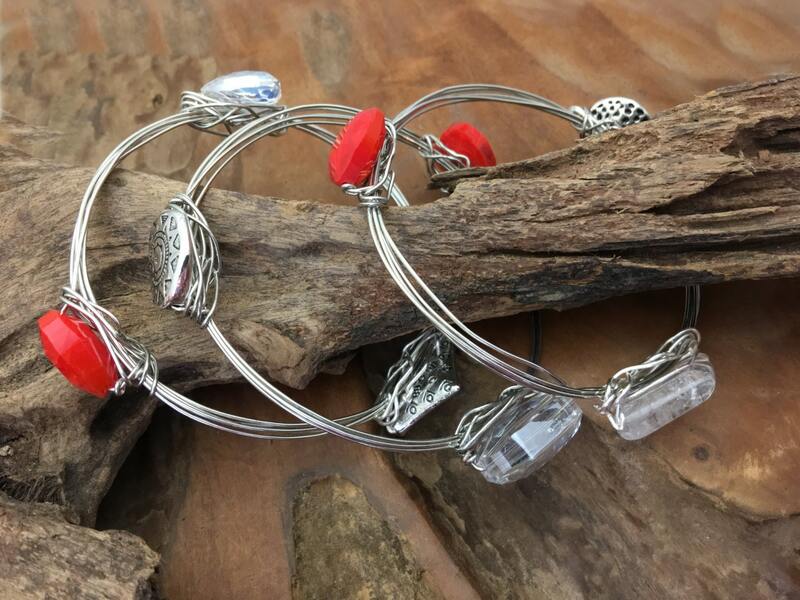 They are the perfect gift for your Valentine Sweetheart!